The second city of France has one big advantage over Paris - proximity to the water. 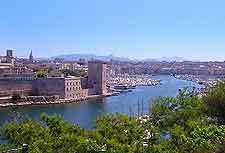 Marseille is, in many ways, the capital of the Mediterranean holiday world and property styles and prices here reflect that status. Think glorious mansions by the sea, and thousands of seasonal apartment rentals. Property prices in Marseille are second only (in price) to those in Paris, but some of the larger properties here, such as estates with absolute water frontage, are among the most expensive homes in all of Europe. Rental prices skyrocket during the summer, with jumps of more than triple off-season prices very much the norm. Le Panier and Vieux-Port are the two major blue-ribbon precincts of Marseille and property prices here are the highest in the area, along with those along the Corniche. Slightly less expensive precincts scale ever back from the water's edge, with a slight rise in price in expansive residences in the hills around Marseille. Marseille is a large city with multiple sites of industry, but is very much a town that comes into its own during the peak summer tourist season. In the summer months, serviced apartments tend to book out (years in advance in some cases) and so discounts and bargains are difficult to find. Even lower-end serviced apartments in Marseille are relatively expensive, but come with balcony in most cases, maid service on alternate days and generally pleasant furnishings. One-week minimum stays are the norm, with a one-week deposit payable with the tariff on agreement. 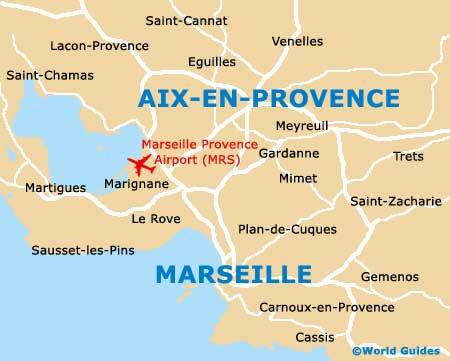 Property in Marseille is split into two areas - homes owned across several generations by families who work in the city, and properties that change hands at high prices by new arrivals and those moving on. Large houses can cost tens of millions of Euro - the Marseille property market is upscale and consistently holds its value. New apartment towers seem to be always under construction in Marseille and purchases off-the-plan cost comparable amounts to similar apartments in Paris or even London. Older apartments can be less than half the price, but tend to be facing away from the water or have had views long since built out. 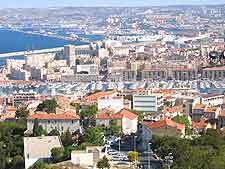 Non-EU nationals are able to purchase or rent property in Marseille with minimal trouble. French is the language of business in Marseille but so many international tourists have filed through the city over the past several decades that multilingual estate agents are fairly commonplace. Many renters and buyers arrange property in Marseille via international realtors in their home country, and this is also a perfectly reliable approach. CI2G offers a good spread of properties in Marseille including holiday rentals, weekenders and long-term leases and permanent sales. This France-wide realtor has an outlet in Marseille and offers commercial premises as well as a good portfolio of residencies. Friendly and compact realtor in downtown Marseille with a pleasant portfolio of serviced apartments and holiday rentals.